Are these real Aurora videos? An experimental aircraft has set a record for hypersonic flight, flying more than 3 minutes at Mach 6 – six times the speed of sound. The X-51A Waverider was released from a B-52 Stratofortress off the southern California coast, the Air Force reported on its website. Its scramjet engine accelerated the vehicle to Mach 6, and it flew autonomously for 200 seconds before losing acceleration. At that point the test was terminated. In aerodynamics, hypersonic speeds are speeds that are highly supersonic. Since the 1970s, the term has generally been assumed to refer to speeds of Mach 5 (5 times the speed of sound) and above. The hypersonic regime is a subset of the supersonic regime. Supersonic airflow is very different from subsonic flow. Nearly everything about the way an aircraft flies changes dramatically as it accelerates to supersonic speeds. Even with this strong demarcation, there is still some debate as to the definition of "supersonic". One definition is that the aircraft, as a whole, is traveling at Mach 1 or greater. More technical definitions state that it is only supersonic if the airflow over the entire aircraft is supersonic, which occurs around Mach 1.2 on typical designs. The range Mach 0.75 to 1.2 is therefore considered transonic. The SR-72, the proposed successor to the SR-71 Blackbird retired in 1998 is expected to fill what is considered a coverage gap between surveillance satellites, manned aircraft, and unmanned aerial vehicles for intelligence, surveillance and reconnaissance (ISR) and strike missions. With the growth of anti-satellite weapons, anti-access/area denial tactics, and counter-stealth technologies, a high-speed aircraft could penetrate protected airspace and observe or strike a target before enemies could detect or intercept it. The proposed reliance on extremely high speed to penetrate defended airspace is considered a significant conceptual departure from the emphasis on stealth in fifth-generation jet fighter programs and projected drone developments. There were unconfirmed reports about the SR-72 dating back to 2007, when various sources disclosed that Lockheed Martin was developing a Mach 6 (4,567 mph; 7,350 km/h; 1 mi/s) plane for the United States Air Force. Skunk Works' development work on the SR-72 was first published by Aviation Week & Space Technology on 1 November 2013. The Skreemr is an aircraft concept that would be launched at very high speed with the help of a magnetic railgun launching system. Rockets would increase the aircraft speed enough to ignite its main scramjet engine, making it possible to reach speeds over Mach 10. 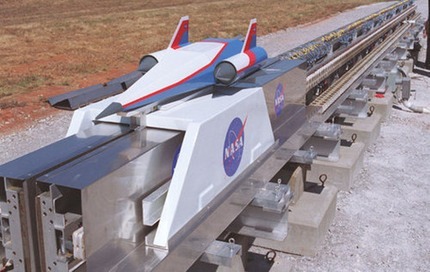 Using such a launch system, the craft would be positioned on a pair of conductive parallel rails and accelerated along them using a powerful electromagnetic field. Liquid-oxygen or kerosene rockets would be fired to enable the plane to rapidly climb higher in the sky and reach Mach 4, which is around twice the speed of Concorde, The Globe and Mail reported. The X-51 test over the Pacific Ocean last summer failed because unexpectedly large sections of its skin peeled off, the U.S. Defense Advanced Research Projects Agency said. Most specific details of the program are secret. DARPA has released artist renderings showing a craft that looks something like the tip of a spear. After the 2011 flight the agency released handheld video, taken aboard a monitoring ship, that showed a dot streaking across the sky. 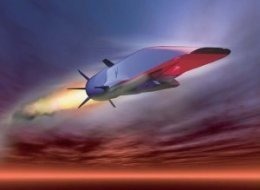 The second flight of the hypersonic Boeing X-51 waverider ended prematurely due to an inlet unstart. The aircraft made a controlled crash into the Pacific Ocean off the California coast on 13 June. The crash is a setback to the revolutionary aircraft program. After what the US air force described as a 'flawless' flight to the launch point aboard the B-52 mothership, the X-51 was successfully boosted to M5.0 by a rocket booster. The Pratt & Whitney Rocketdyne scramjet engine successfully ignited using its initial fuel, ethylene. During the immediate transition to JP-7, the conventional fuel that makes X-51 unique, an inlet unstart occurred. A subsequent attempt to restart and reorient to optimal conditions was unsuccessful. Boeing has announced that the second flight of the X-51 hypersonic waverider is planned for the week of 13 June. The first flight of the revolutionary scramjet, on 26 May, 2010, was hailed as a technological leap. The X-51 was the first hypersonic vehicle to fly using conventional hydrocarbon gas instead of more exotic fuels. The vehicle was able to actively circulate fuel to dissipate heat, a major concern of hypersonic flight. The scramjet engine burned for 140s, half its intended burn, before an engine seal failure. NASA has announced plans to start developing jets that can fly at hypersonic speeds, potentially drastically reducing the time it takes to fly to destinations around the world. The long term aim of the project would be to come up with the technology that would allow a reusable aircraft to make a journey to Mars and back. The initial aim of the US space agency is to create a vehicle capable of travelling at Mach 5, or five times as fast as the speed of sound. Concorde was capable of speeds up to Mach 2. Such an aircraft would mean the current flight time between Sydney and New York of 21 hours would be slashed to around two-and-a-half hours. The NASA aircraft would have to be able to be reused after carrying passengers at high speed through the atmosphere, make a descent and land. NASA claims it is aware that producing such a craft will be a challenge; especially if the ultimate aim is space flight. In its proposal, the space agency states that the challenge will be to come up with viable materials and coatings for those materials as they will have to withstand extreme heat whilst at the same time being reusable. The structure of the craft will have to be very resilient to extreme thermal loads as well as lightweight and durable. Engineers at the space agency’s Kennedy Space Center in Florida are exploring future space launch schemes that could see spacecraft flung into space by a massive railgun or launched to the upper atmosphere aboard supersonic scramjets. If space launches are anything, they’re expensive. As such, launch vehicles that are reusable (like the space shuttles) are key to keeping costs under control. One such scheme for reusable launch craft involves ferrying payloads to the upper limits of the atmosphere aboard scramjets, those air-compressing, high-speed jets with theoretical top speeds more than four times faster than the fastest air-breathing jet engines. In such a scheme, a payload vehicle (holding, say, a satellite) would piggyback to high altitude aboard the scramjet, which in theory could reach near-orbital speeds. From the upper atmosphere, the payload vehicle would launch from the scramjet propelled by something akin to the second stage of a booster rocket, putting the satellite or even a manned vehicle into orbital space without the incredible thrust needed to launch it from the ground. WASHINGTON — An experimental aircraft has set a record for hypersonic flight, flying more than 3 minutes at Mach 6 – six times the speed of sound. "We are ecstatic to have accomplished many of the X-51A test points during its first hypersonic mission," said Charlie Brink, an X-51A program manager with the Air Force Research Laboratory at Wright-Patterson Air Force Base, Ohio. "We equate this leap in engine technology as equivalent to the post-World War II jump from propeller-driven aircraft to jet engines," Brink said. Nasa has revealed a prototype engine that could allow an aircraft to fly at up to 10 times the speed of sound. Supporters of the project believe it may enter the record books as the fastest jet in history. If all goes to plan, the aircraft will reach a speed that would allow it to fly from New York to London in 40 minutes. The first test flights towards ultra-high-speed air travel will start in May. The X-43A is just four metres (12 ft) long with a wingspan of 1.5 metres (5 ft) and is shaped like a surfboard. Fuelled by hydrogen, it represents a new technology because it will use oxygen from the atmosphere to allow combustion. It does so using something called a Scramjet, which compresses the air and forces it into the engines. If successful, the test flight will be the first time that a non-rocket propelled, air-breathing engine has powered a vehicle in flight at hypersonic speeds, or more than five times the speed of sound. The X-43A will make its first unpiloted test flight over the Pacific Ocean, ending the test by ditching into the sea. In a hurry? Need to get from Sydney to Brussels in a dash? Not too far in the future you may be able to travel that entire distance in less than 4 hours - emissions free - thanks to an amazing hypersonic hydrogen jet project called LAPCAT. LAPCAT stands for Long-Term Advanced Propulsion Concepts and Technologie, and is funded by the European Space Agency. 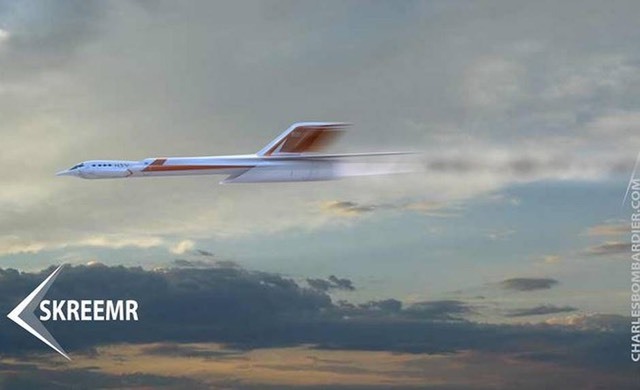 This type of hypersonic jet would put the Concorde to shame with it’s speed, and the best part is that it would not be powered by the typical fossil fuels, but instead by a much greener hydrogen alternative. 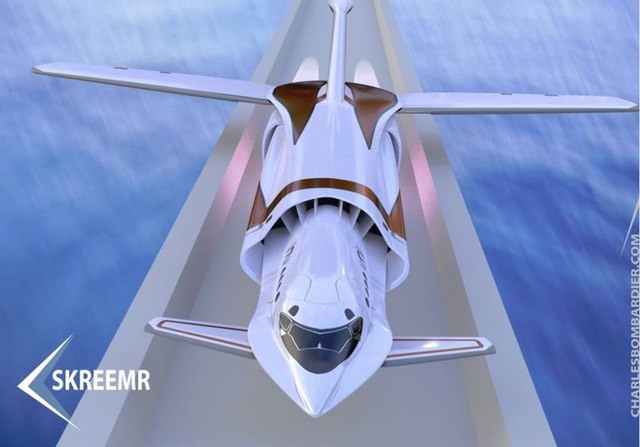 Supersonic aviation as a workable model may have ended prematurely with the death of the Concord, but that hasn’t stopped other people from attempting to bring back the concept of hypersonic civil transportation. 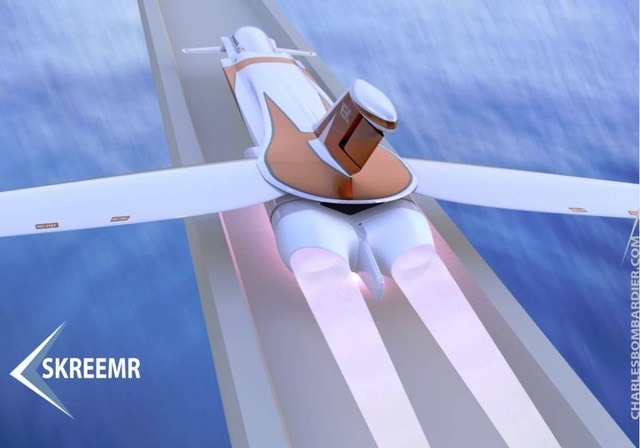 The LAPCAT project is a study, funded by Europa General R&D, that seeks to determine whether or not it is possible to create a plane that can cover long distances in a very short amount of time. The result? The A2 Mach 5 Civil Transport Concept. The Air Force is preparing to test its Mach 10 speedster, the unmanned Falcon hypersonic test vehicle that will pave the way for jets that can fly faster than a bat out of hell on their way to spying on everyone, dropping bombs and even slinging satellites into orbit. Expected to first fly in 2008, its creators at Lockheed Martin and the Defense Advanced Research Projects Agency (DARPA) are putting the final touches on its propulsion system, where the trick is transitioning between jet turbine engines, which work up to Mach 4, and scramjets for higher speeds.